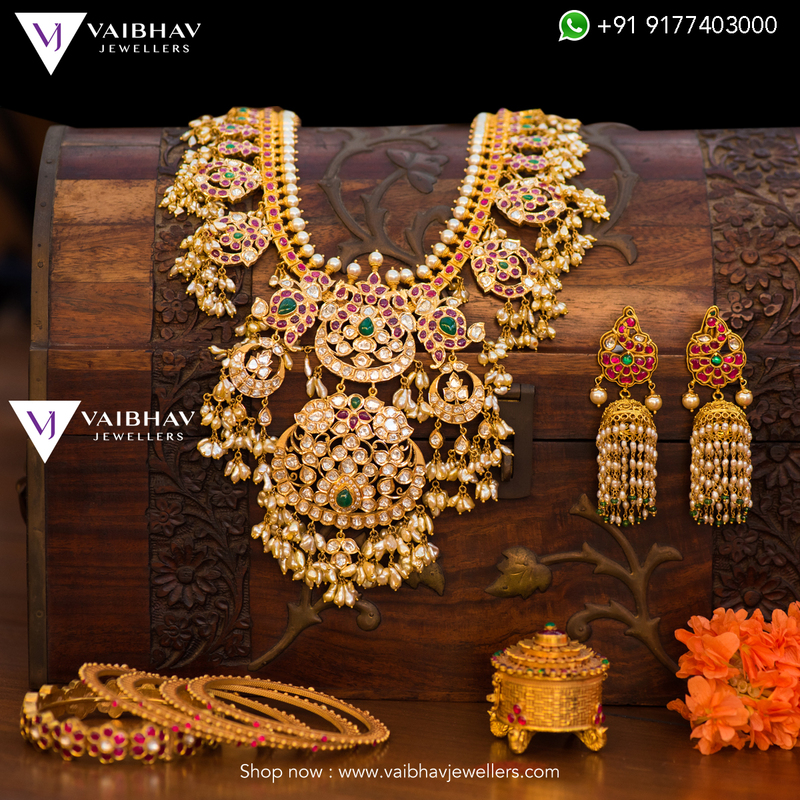 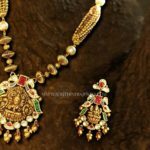 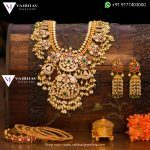 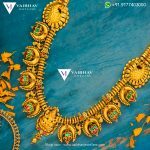 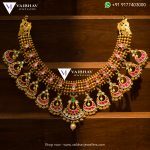 Pachi Work Guttapusala Haram Set From Vaibhav Jewellers. 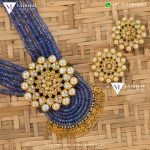 For more details please contact. 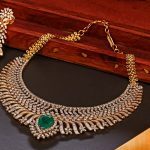 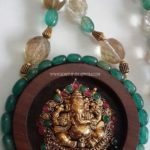 Previous articleBeautiful Long Necklace From Balaji Silvers.